Richard Radford, 43,was last seen at around 11am on Thursday, March 9 in Murray Street, Hartlepool but he has not returned home since. 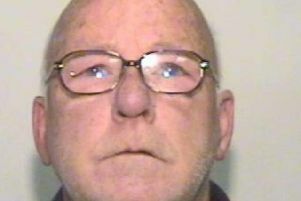 Police have issued a national appeal to help trace a vulnerable missing man from Hartlepool. Richard Radford, 43, was last seen at around 11am on Thursday, March 9 in Murray Street, Hartlepool but he has not returned home since. Police in Cleveland are now appealing to members of the public across the country and in particular to train users as they believe Richard may be travelling by rail. Richard is described as around 5’4” tall, of medium build with short brown hair. He requires medication and officers are concerned for his welfare. Anyone with information is asked to contact Cleveland Police on 101 with any information.